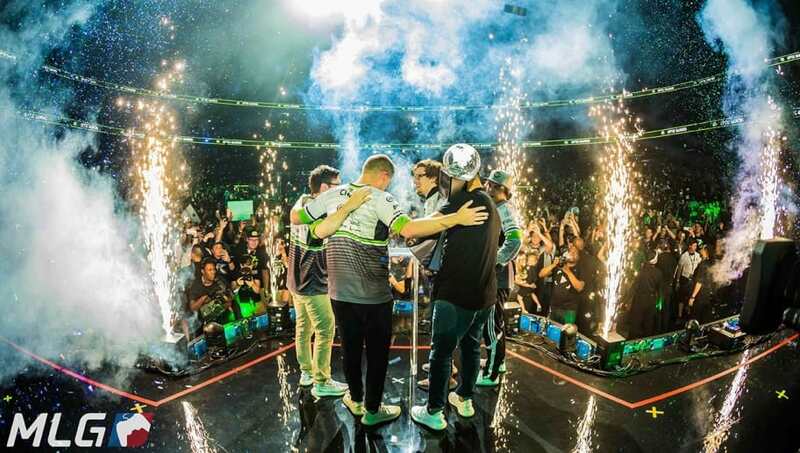 Dynasties in esports, let alone traditional sports, are a phenomenon when looking at a specific team being dominant and successful for a long period of time. It's common to see dynasties emerge in different esports, but it's rare to see more than one dynasty surface in a singular esport. In baseball, you have the New York Yankees. In football, it's Tom Brady's New England Patriots. In Call of Duty, it's OpTic Gaming. OpTic, one of the most prominent organizations in esports, built its name and reputation in Call of Duty. With one of the most rabid fan bases, the Green Wall established itself as a top team with players such as Raymond "Rambo" Lussier, Will "BigTymer" Johnson, Seth "Scump" Abner, among others. After struggling during the Call of Duty: Black Ops 2 and Ghosts seasons, OpTic made a move to bring in two high-profile players for Advanced Warfare: Matthew "FormaL" Piper and Ian "Crimsix" Porter to play alongside Matthew "Nadeshot" Haag and Scump. Following a roster change midway through the season to add two-time world champion Damon "Karma" Barlow, what came later ended up being the best roster in Call of Duty esports history. Those four players went on to play together under OpTic for three years across four different Call of Duty titles, previously unheard of in the scene. The dynasty attended 37 major LAN tournaments together, winning 18 of them, including X Games gold medals and a Call of Duty World Championship title. Crimsix, Scump, FormaL, and Karma made the grand final all but 12 times. The team earned $1,849,554 in prize money since AW. Karma and Crimsix are also the highest earning console players of all time at first and second respectively. No team has won more championships than this team. No team has accomplished what this team has, and it seems no team ever will. Dynasties aren't a common occurrence; they're an outlier. And, as the saying goes, all good things must come to an end. OpTic announced in the Season 4 finale of the team's documentary show, "Vision," that Karma and FormaL were off the team. FormaL was traded to Luminosity for Sam "Octane" Larew, and Karma took a break for the rest of the World War II season. Anthony "Methodz" Zinni joined Octane as the team's fourth player after OpTic bought out his contract from Rise Nation. We would like to officially welcome @Methodz and @Octane_ to our Call of Duty roster. How do you go about replacing two of the greatest players of all time? How do you replace arguably the best console FPS player to ever pick up a controller? How do you replace the only three-time Call of Duty world champion? Octane comes in as one of the best assault rifle players in the past three CoD titles. He won championships in Black Ops 3, Infinite Warfare, and took home CWL Birmingham this year. As one of the top talents in the game, Octane is a no-brainer as a replacement. Methodz is a different case. He's a journeyman player having represented organizations such as FaZe Clan, Counter Logic Gaming, Echo Fox, and Rise Nation dating all the way back to Black Ops 2. On the bright side, Methodz has come into his own as a player this year. He won his first major championship at CWL Atlanta with Rise and took home MVP honors as well. His spot on the team was earned through his performance this season and his reputation as one of the top assault rifle players in World War II. While the greatest Call of Duty dynasty has come to an end, a change was needed. There's no arguing that. But, this new team doesn't need to succeed right now. Yes, the Green Wall is hungry for a championship, but this team shouldn't be expected to win right away. Who even knows if these two players will be on the team come Black Ops 4? OpTic fans demand championships but that will only jeopardize this team even more considering its current standing. OpTic should use Stage 2 and CWL Anaheim to iron out strategies, communication, and gameplay with the help of coach Tyler "TeePee" Polchow. After that, set your eyes on the World Championship. In the end, you're only as good as your last tournament. You can argue all day about whether OpTic Gaming or the compLexity/Evil Geniuses core was the better team, but in some way they're incomparable. CoL/EG was the absolute most dominant team in Call of Duty, but OpTic played together for longer, meaning more tournament wins. OpTic also had tougher competition. Either way, Crimsix, Karma, Scump, and FormaL will go down as the greatest team of all time. Let's see if Octane and Methodz are the next players to write history with OpTic, or if there's still a ways to go for OpTic.